A registered not-for-profit, My Entertainment World attracts thousands of informed and engaged readers each month. We are devoted to publishing only top-quality reviews, editorials and features from writers with experience and education in their field of coverage. Your advertising dollars go directly towards our maintenance costs and facilitating our most popular coverage, including the yearly Critics’ Pick Awards, convention reporting, and festival reviews. 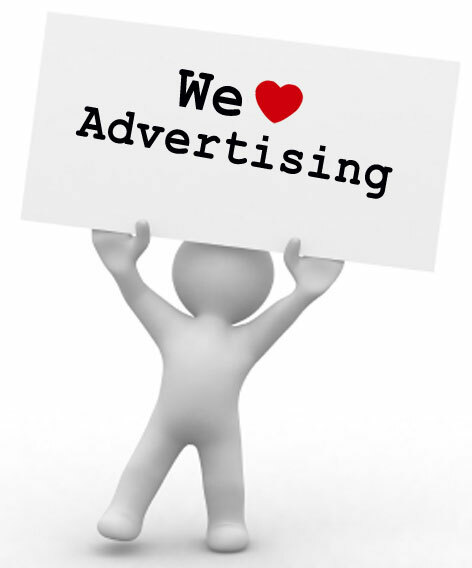 Advertising with us gives you the opportunity to reach smart, young and interested demographics by targeting whatever entertainment branch you’d prefer- TV, Theatre, Cinema, Music, Sports, Books, Games or any combination thereof. Most of our readers are between 13 and 35 in Canada and The United States but extending all around the world. As one of Toronto’s fastest growing entertainment websites, My Entertainment World is reaching new readers (and consumers) every day and distributing our content across Twitter, Instagram and Podcast platforms and to 60,000+ Facebook fans. We want to make advertising accessible for artists at all levels of funding so we created the Artists’ Discount Program that provides affordable rates for independent artists with a proven track record. If your Fringe Festival or SummerWorks show scores an A+ or A, you can cash in on that goodwill with a 50% discount on advertising your next show on My Entertainment World. If you scored an A- or B+, we’ll knock 25% off the ad price. Discounts also apply to all Critics’ Pick Award winners (50% off), and nominees (25% off) in Toronto, Boston, London or New York, are REUSABLE FOR A FULL YEAR, and can be combined to a total of 75% off. All My Entertainment World Patreon Patrons who pledge $5/month or more are given a REUSABLE, TRANSFERABLE 10% advertising discount that can be applied to any production they choose even above the 75% limit. The patron doesn’t have to be directly involved with the production (though they can be), they just have to send us an email giving the company in question temporary access to their discount. Multiple patron discounts can be applied to the same production. Please inquire by email for further information, or to purchase ad space. Sidebar Rectangle: A linked ad (225 x 300) in the sidebar of your desired branch (as well as all articles within that branch). The cost is $10 per day per branch. Sidebar Skyscraper: A linked ad (225 x 600) in the sidebar of your desired branch (as well as all articles within that branch). The cost is $20 per day per branch. Featured Post: Certain organizations can apply for a featured advertisement to appear as an article on the website. The cost for a featured post is $100 as that link will stay in the search-able archives and on the related branch indefinitely. For an additional $50 per week, content-related organizations (such as theatre companies, television channels, sports organizations, book publishers, etc…) can request a premium place in the slider at the top of the homepage where every reader will immediately see their ad (700 x 500) displayed as they enter the site. This option is only available in conjunction with a Featured Post. Play of the Day (Regular Season): Theatre companies who’ve just received a great review are invited to purchase Play of the Day for $50*, a hyper-visible spot at the top of the homepage where we’ll display your poster for the ENTIRE REST OF THE RUN*! This option is also available for Films, Books, Games, Songs/Albums, Teams, TV Shows and Performers at negotiable prices. Play of the Day (Festivals): During Fringe and SummerWorks, Play of the Day switches to an auction system. If you get a good review (B or better), you can bid to become our Play of The Day (prime advertising spot at the top of the homepage AND on our Fringe landing page). Bidding starts at $5 a day. Whomever is the highest bidder as of midnight each night of the festival gets the spot for the next 24 hours or until their bid is beaten (whichever comes second). To bid, just submit a .jpg of your poster to toronto@myentertainmentworld.ca with the subject line “Play of the Day” and be sure to mention your bid price in the email. *Additional charges may apply for performance schedules exceeding three weeks.